When you need a logo to represent your brand, it’s best to hire a freelance logo designer or agency. But when you need to create something quickly, something simple for a side project, draft up an idea for to pass on to a designer, online logo creators can help. Most online logo creators are fairly similar. Some will have pre-made templates for you, while others may ask you a series a questions and generate samples based on your answers. All of them will have some way to modify your logo, with varying degrees of customization. And they will usually let you go through the design process for free, but will require you to pay of you want a hi-res logo or the design files to tweak more. 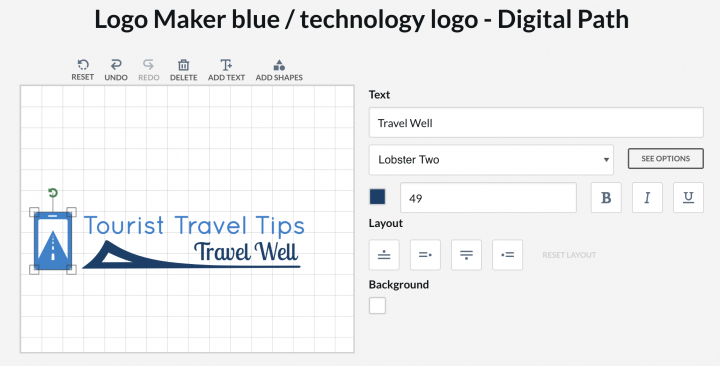 I tried out a few of the most popular loge making platforms out there using the brand “Tourist Travel Tips,” which is a travel blog that I’m working on as a side project. If you have no idea where to even start with a logo, Logo Joy may be a good choice for you. It’ll ask you basic questions, then based on your answers, will generate various logo samples for you. It’ll start off with asking you about your industry, which I assume possibly helps with layouts and fonts. Then it’ll ask you about design preferences, such as colors and icons. Then it puts together several variations for you, and you can keep asking it to create more. The logos it generated didn’t seem to be very good. They were either simplistic or kind of ugly. The system doesn’t seem to have any algorithm to pair certain fonts or colors or styles. It seemed to just throw together icons you had chosen with random colors and fonts. There are a few decent ones in there. This process is free, but if you want to download the logo, or tweak it, you’ll have to pay for that. You can also add on an hour with one of their in-house designer to help you refine the logo. So if you just don’t know where to start with a logo, then Logo Joy is great for getting ideas and seeing what you like (but mostly what you don’t like). It’s a good starting point to see what’s possible, but not really for crafting a logo. Whether you don’t know where to start or you have a fairly good idea of what you want, Design Evo is an online logo designer that let’s you customize your own logo. If you need ideas, DesignEvo can start you off with templates. Just browse or type in a subject and it’ll show you fairly refined logo designs related to that subject. Selecting one of them will take you to an area where you can make more edits. The edit screen gives you a good amount of control over what you can do with the logo. You move, rotate and resize the icon. You can select fonts and sizes. You can add on various shapes such as lines or circles. And everything is drag and drop, so you move objects around until you get what you want. You’re also able to start from scratch where you’re dropped right into a blank page, and can start adding the various elements to your canvas. When you’re done, you can download a basic jpg of the logo for free. But if you want it for final use, you’ll need to pay for it, which gives you hi-res files, vectors which you can edit, and the copyright to the logo. DesignEvo is good if you want a little more control over how your logo looks and intend to get something close to a final design, or use it as a final design for small projects. If you’re not sure what you want your logo to look like, but would like some control in tweaking it, Tailor Brands is a good online logo maker for that. You start off by identifying your industry. Then you decide if you want to pick an icon for your own logo, or have them choose one for you (if you leave it to them, it seems to pick something rather random and not related to your industry. Then it uses a unique approach of asking you to decide between 2 fonts. It does this for several rounds, and starts to generate your logo. Tailor Brands generates some logo ideas for you. Some of theme are fairly decent, and they even give you a paragraph description as to why it was generated, presumably based on your description of your brand. You can do some minimal adjustments of fonts, colors, and alignments, but no drag and drop option to fully customize it. The process is free, but you’ll need to pay to download the logo and it’s design files. So if you don’t really have any logo ideas, Tailor Brands can generate some basic ones based on your description of the brand and font preferences, and allows you do do some very basic tweaks, but isn’t for high customization. If you’re looking for an online logo maker to give you a template and then let you customize it, then Brand Crowd is the place to start. It first asks for your brand name and industry, then shows you several pages of templates with your brand on the logo. Pick the one that’s closest to what you’re looking for and you’ll be taken to the customization screen. From there, you get a basic drag and drop editor that lets you change the font and colors, add extra text or shapes, and move stuff around. The design process is free, but you’ll need to pay to download the files. Hatchful was designed by Shopify as an easy-to-use tool for logo creation for web stores. But, anyone can use it, and they’ve taken things a step further by giving users a complete branding package at no cost. First you start out by picking out your industry. 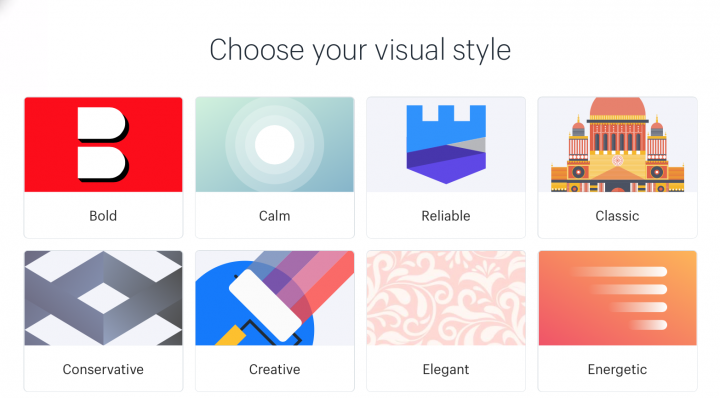 Then it’ll ask you to select a few different visual styles. After that, it generates multiple logos for you of different styles. With Hatchful, all the logos look good and professional, though the styles are extremely varied. 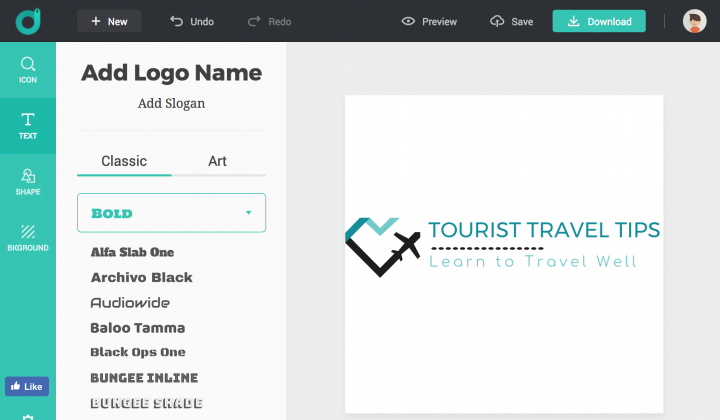 Once you pick a logo, depending on the template you can modify the font and color. However, a drawback is you can’t pick specific colors – only color schemes that are part of the template. It helps because it ensures you have a good visually appealing palette, but could be difficult if you have specific brand colors. You also aren’t able to move the icon or text around. One of the best features is that Hatchful then generates the logo in all the different formats you need – Facebook profile, Twitter profile, favicon, etc… and let’s you download them all for free. You just need to create an account with an email address. Paid upgrades will give you instant access to premium design features. For those who want a professional looking logo quickly, and don’t really have specific branding style needs, Hatchful is a great start. Renderforest has a logo maker that takes you through the process step-by-step, with some further customization at the end. After typing in your title, Rendeforest has this unique step that asks you to describe your logo in plain English, and it uses AI to try and find the best matches. It’ll generate multiple font and icon combinations. Some of them match what you described, while others seem to be way off. The combinations are fairly simplistic, and you may feel limited just choosing one of the options, but there are more customizations later. However, one slightly annoying thing about this process is that in order to customize it more, you have to sign up for a free account. 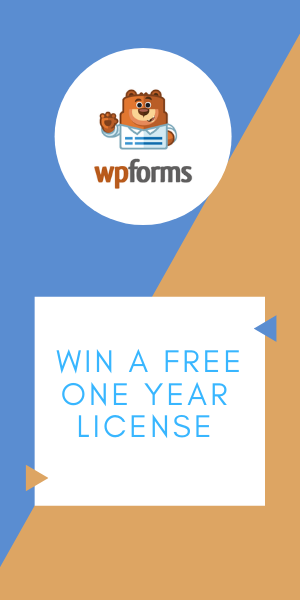 It’s free, so you can’t complain too much, but it’s a speed bump in the design process. Once you set up your account, you can resume and customize a few more aspects of the logo, such as the icon, colors, text, and spacing. Once you finish customizing your logo, you can download a low-resolution version for free to use for nonprofits, or you can purchase the high-resolution version to use for business. Renderforest is good for very simplistic logos, but the text, icon, and layout options are a bit limited. If you just need it to get ideas, it’s a great start. 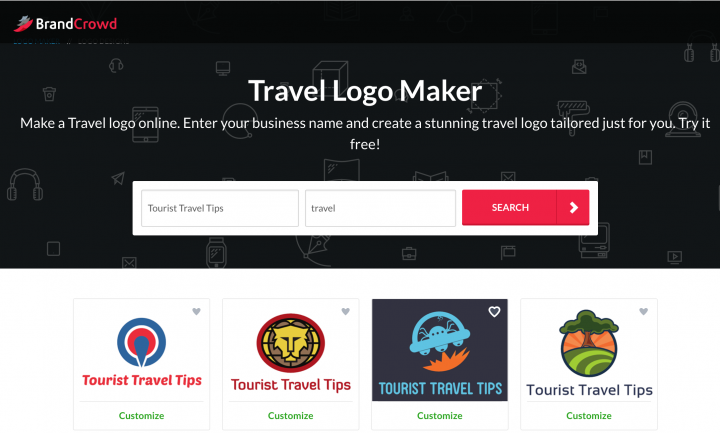 So which online logo creator is the best one? It really depends on where you’re at in your design process? Do you have an idea of what you want, or do you need some examples? Do you just want to make some basic edits, or do you want to fine tune every aspect? These are some of the more popular online logo makers, but there are dozens of others, some that I’ll add on here later. If you have one you love, let me know! But remember that the purpose of these “design your own logo” platforms is to give your a draft to start. Maybe you’re a freelancer or have a startup business, and just need something you can slap on a website and business card so you can get started. Maybe your company has a side project or new product, and you just need a basic logo for a proposal. Or maybe you want to give some mockup ideas to a logo designer. A professional logo designer can help you get into the ethos of your brand and create something that reflects your characteristics and messaging. I’m a web designer, marketing consultant, and the creator of this site. You’ll find me reading in coffee shops or snowboarding down mountains.